The continuous in situ measurements of criteria pollutants (O3, CO and NOx) and meteorological variables were done at a semi-urban site (Patiala) of North-West Indo-Gangetic Plains (NW-IGP) for the years 2014 and 2015. The influence of meteorology on the levels of criteria pollutants was investigated on daily, monthly, seasonal and diurnal basis. The average rate of increase in O3, calculated to be 1.1 ppb h−1 and pollution index (daily O3 max/O3 min ratio), values (10.2) indicates remarkable ozone pollution. Ozone is negatively correlated (represented as r value) with its precursor gases CO (− 0.28) and NOx (− 0.32), as they get consumed in the photochemical production of ozone. The impact of meteorology on ozone production was positively correlated with SR (0.63), AT (0.49), MT (0.59) and WS (0.23) and negatively correlated with RH (− 0.83). Pre-, during and post-biomass burning periods were determined using Terra-MODIS images over the study area. Enhanced levels of ozone were recorded as 20 ppb and 15 ppb during daytime, respectively, for rice and wheat crop seasons, and 12 ppb during nighttime for both seasons. Ozone exceedance of 24 h national standard occurred on 50% and 8% of the sampling periods during wheat and rice crop residue burning, respectively. Ozone generation with its precursor gases was analyzed quantitatively. The online version of this article ( https://doi.org/10.1007/s12647-019-00315-x) contains supplementary material, which is available to authorized users. 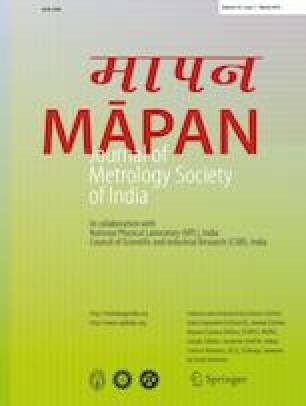 Authors are thankful to Indian Institute of Tropical Meteorology (IITM), Pune, for the data collected on the Ambient Air Quality Monitoring System (AAQMS) established at Thapar University, Patiala, under MAPAN Project. Authors are also thankful to Director, Thapar University, Patiala, for providing research facilities. One of us Madhvi Rana thankfully acknowledges Department of Science & Technology (DST), Govt. of India, the award of financial support under INSPIRE-Fellowship program (IF-140931). World Bank. 2018. Global Economic Prospects, June 2018: The Turning of the Tide? Washington, DC: World Bank. License: Creative Commons Attribution CC BY 3.0 IGO. 4-014-9295-8. https://doi.org/10.1596/978-1-4648-1257-6.